Who is Citroen? And what cars will they bring to India? With Citroen's arrival in India confirmed for late 2020, here's a brief overview of the brand's genesis, and a look at the cars that they are likely to bring to India. Citroen was founded in March 1919 by French industrialist Andre-Gustave Citroen. An arms manufacturer during World War I, Citroen knew well that once the war ended, he'll need an alternative product to produce in his factory. Thanks to his prior six-year work stint in the automotive industry, he felt that the automobile business would provide good scope for expansion after the war and, therefore, turned his attention to designing a revolutionary automobile – a modestly priced car that would be easy to maintain, provide sturdy build quality and unmatched reliability. With these guiding principles in place, Citroen, with the help of engineer Jules Saloman, created the first ever Citroen automobile – the Type A. First announced to the press in March 1919, the first production prototype of the Type A rolled off the production line in May 1919. It was built around a 1,327cc four-cylinder motor that generated 9.8bhp and was capable of hitting speeds of up to 65 km/h. Produced from 1919 to 1921, Citroen manufactured nearly 24,000 units of the Type A. The incredible popularity of the brand was evinced by the fact that in 1924, in just its fifth year of production, Citroen produced 50,000 vehicles. In 1934, the French carmaker established its reputation for blending innovation, safety, comfort and efficiency into its vehicles with the launch of the Type 7A. During its time, the 7A became immensely popular, as it was the world's first mass-produced vehicle to introduce unfathomable features like front-wheel drive, a unitary all-steel body (no chassis to support the mechanical components), hydraulic brakes on all four wheels, independent wheel suspension with a torsion bar and removable cylinder liners. Later, in 1954, Citroen achieved another technological breakthrough. This time, they fitted the 1938 Traction 15-Six with self-levelling hydropneumatic rear suspension, another first in the world. At the Paris Motor Show of 1955, Citroen introduced the record-shattering DS, which pushed the envelope of technological innovation even further. It became the world's first car to feature modern-day hydraulic assist disc brakes. Other innovations that found their way on the DS include a power-steering, a semi-automatic gearbox, hydropneumatic suspension on both ends and swivelling headlights (from 1967). In its 20-year production run (1955 – 75), Citroen manufactured more than 1.45 million units of the DS. To put the figures into perspective, it sold 750 units within 45 minutes of its unveiling at the 1955 Paris Motor Show. The number went up to 12,000 by the end of 24 hours and reached nearly 80,000 by the end of the show! Citroen's motorsport stint began in 1959 when an ID 19 won that year's Monte-Carlo Rally, with Coltelloni-Alexandre and Desrosiers at its helm. This encouraged Citroen to pursue the global motorsport scene full-time. 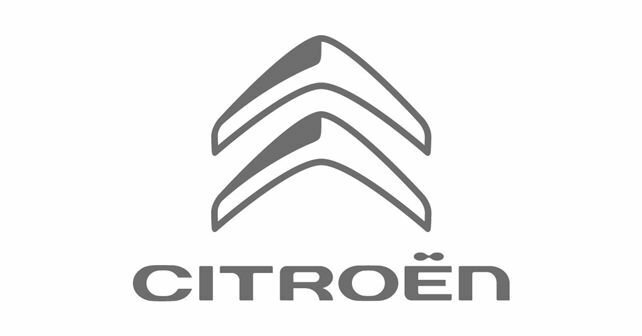 With a successful history in motorsport, Citroen is the only automobile manufacturer in the world to have won three different FIA World Championships, with five World Rally Raid Championship titles, eight World Rally Championship titles and a World Touring Car Championship title. In 1976, stakeholders Michelin and Peugeot decided to merge Peugeot and Citroen to create a single group of international reach, giving birth to the PSA Peugeot Citroen Group. In 2016, the name was changed to the PSA Group. Currently, the PSA Group has under its umbrella numerous global automotive brands like Peugeot, Citroen, DS Automobiles, Opel and Vauxhall. In November 2018, Groupe PSA and AVTEC Ltd (a CK Birla Group Co.) inaugurated their first JV powertrain plant in Hosur, Tamil Nadu. The plant is owned by PSA AVTEC Powertrain Pvt Ltd, a 50:50 joint-venture created in 2017 between Groupe PSA, France, and AVTEC. It benefits from Groupe PSA's latest technology and the CK Birla Group’s engineering and manufacturing excellence. In terms of product portfolio, Citroen's arsenal consists primarily of hatchbacks, crossovers and SUV models. Being a new competitor, it would be unlikely that Citroen develops models from the ground up for India. Instead, we expect Citroen to bring slightly modified and altered versions of its international models here. Citroen's current model lineup consists of the C-Zero EV, C1 and C3 compact hatchbacks, C4 Cactus hatchback, C3 and C5 Aircross SUVs, Berlingo MPV and C4 Space Tourer. It is likely that we might see a few variations of the above-mentioned models as the first launches from Citroen in India.